Risen Simple is simple magazine Blogger Template. It's mobile-friendly, fastest loading Blogger template, SEO optimized blogspot/blogger template for your blog. It's fully responsive up to 240px devices size. 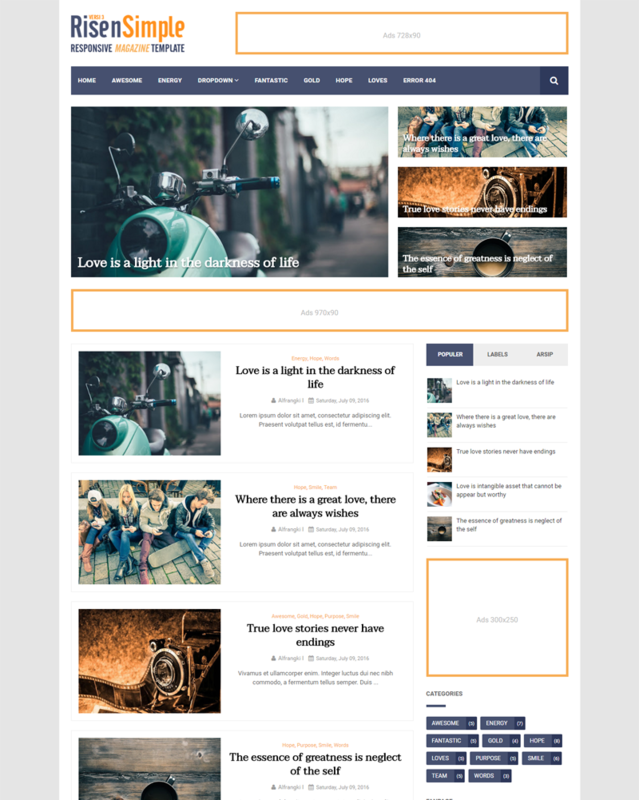 It's a lightweight responsive blogger template for writers, journalists and photographers. It is miniminal in design and takes just few seconds to load and get everything running. This template has significant features that are required for a magazine based blog. Get this premium template right now!! You will buy: RisenSimple - Fastest Loading and Mobile Friendly for Magazine Blogger Template with PayPal.